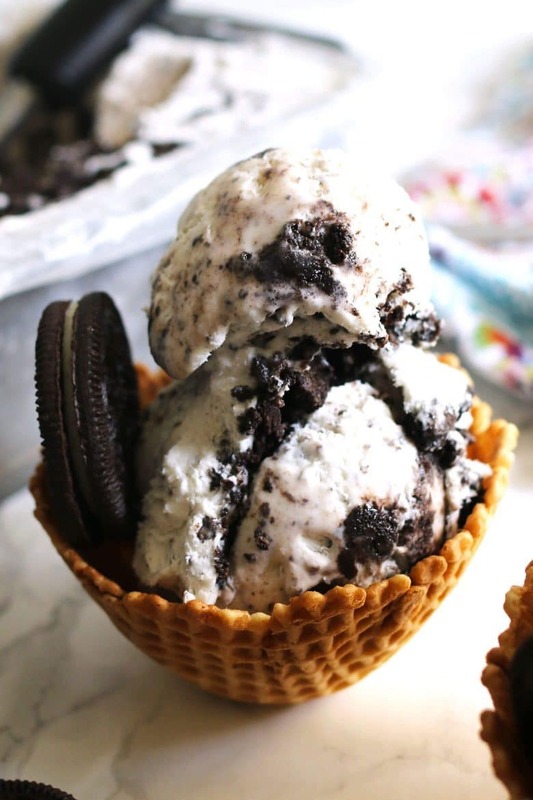 No-churn cookies and cream ice cream is the best (and easiest way!) to cool off on a hot summer day. 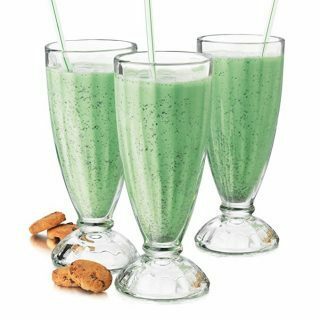 The best part – this is a 3-ingredient recipe! In the past, I have made no-churn coffee chocolate chunk ice cream and no-churn honey nut ice cream. Both were amazing and I would make them again in a heartbeat. It’s time, however, to change it up. One of my all-time favorite ice cream flavors is cookies and cream. I could have broken out one of my two ice cream makers (yeah… I like ice cream). Instead, I went the much easier route and made this recipe. 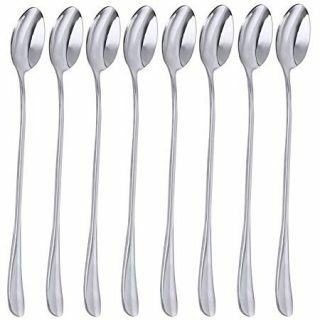 To get started, place one scoop of the whipped cream into the sweetened condensed milk and stir it together with a spatula. Then add the rest of the whipped cream and cookie dust. Stir with your spatula until it is mixed together. It’s time to pour it into a freezer-safe container! Pour half of the whipped cream mixture into your container and then sprinkle half of the cookie chunks on top of that. 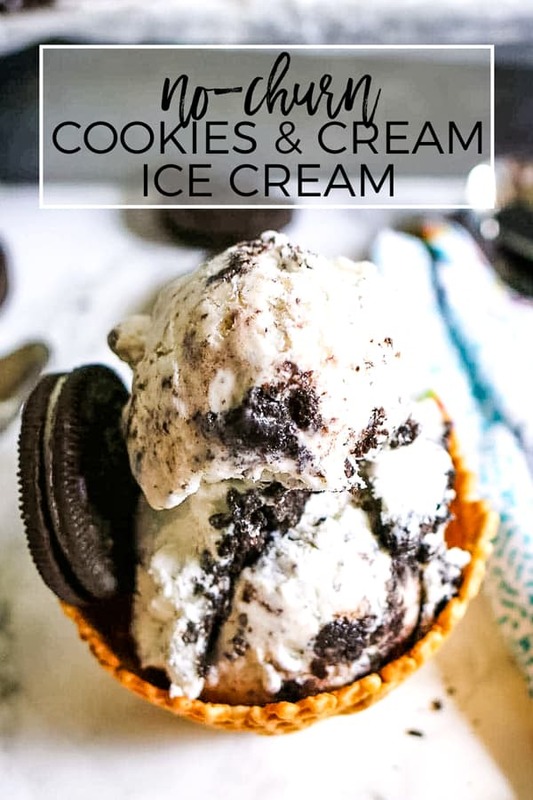 Repeat with the remaining ingredients, pouring the rest of the whipped cream and cookie chunks on top of the cookie chunks. Cover the container with wax paper and put it in the freezer for 6 hours. And that’s it! The whole process takes about 10 minutes to prep and can remain in your freezer for up to 2 weeks. 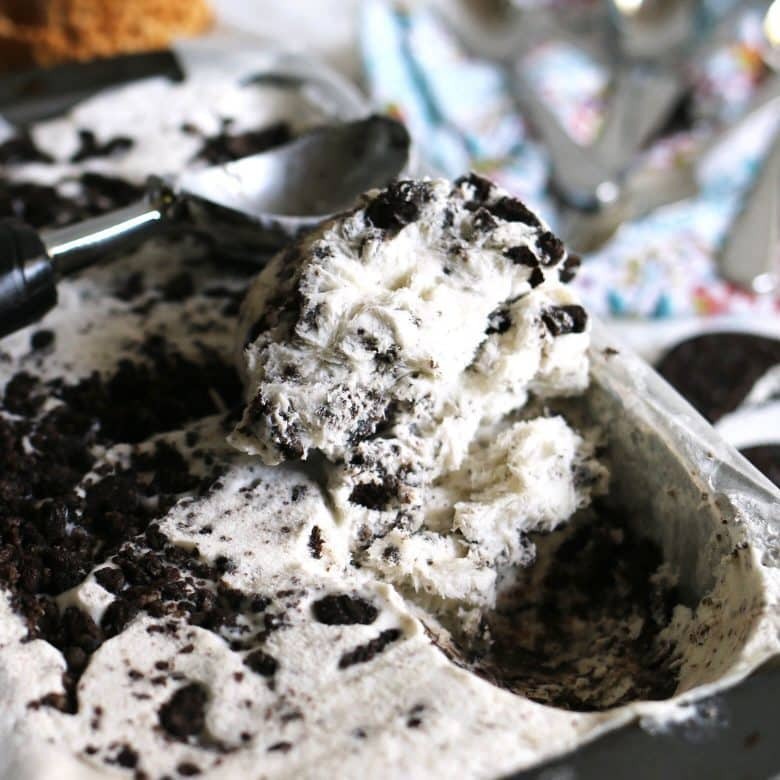 It can’t get any easier than that to make homemade no-churn cookies and cream ice cream. 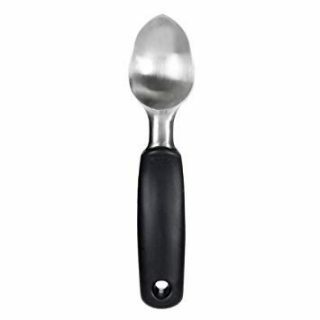 What container should I use to make no-churn ice cream? I use a bread pan but have also used glass baking dishes. I lined my pan with wax paper but that isn’t necessary. 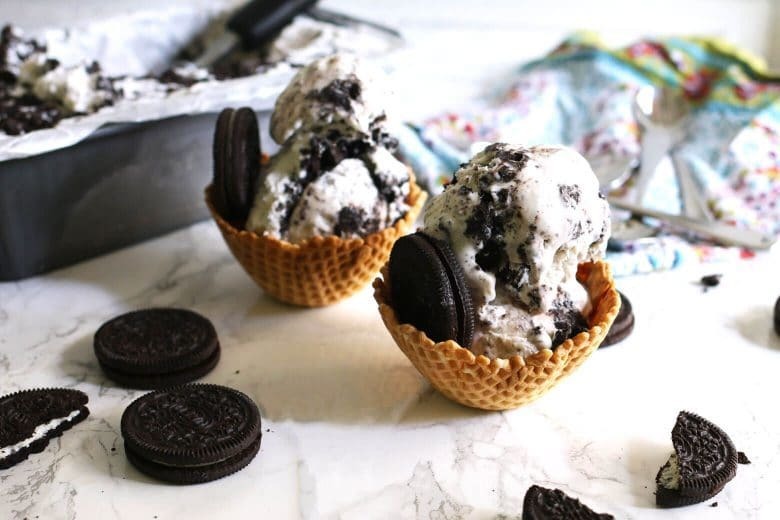 If you want to cut your ice cream into slices, the wax paper does help you pull the whole ice cream “loaf” out of the pan – just an idea if you want a change from ice cream bowls or cones. Pour the sweetened condensed milk into a large bowl. Smash the cookies until you have 1/4 cup of cookie crumbs and 2 cups of cookie chunks. In another bowl, whip the heavy cream until it holds stiff peaks (about 3 minutes). Mix a scoop of the whipped cream into the condensed milk and stir until combined. Pour the remaining whipped cream and the cookie crumbs into the condensed milk mixture and fold the mixture until combined. Transfer half of the mixture into a freezer container. Sprinkle half of the cookie chunks on top. Repeat with the remaining ice cream mixture and cookie chunks, pouring it on top of the first half. Drag a knife through the entire mixture to spread out the cookie chunks. Press a piece of wax paper against the surface and freeze for at least six hours before eating. Mixture will keep for up to 2 weeks in the freezer. I wish my freezer would be fixed soon or I would be able to get a new fridge with large freezer space coz I really want to make my own ice cream! This sounds fantastic! Thanks for sharing! 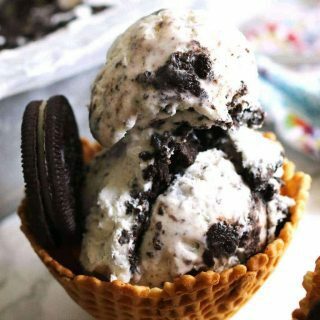 This ice cream is making me drool! 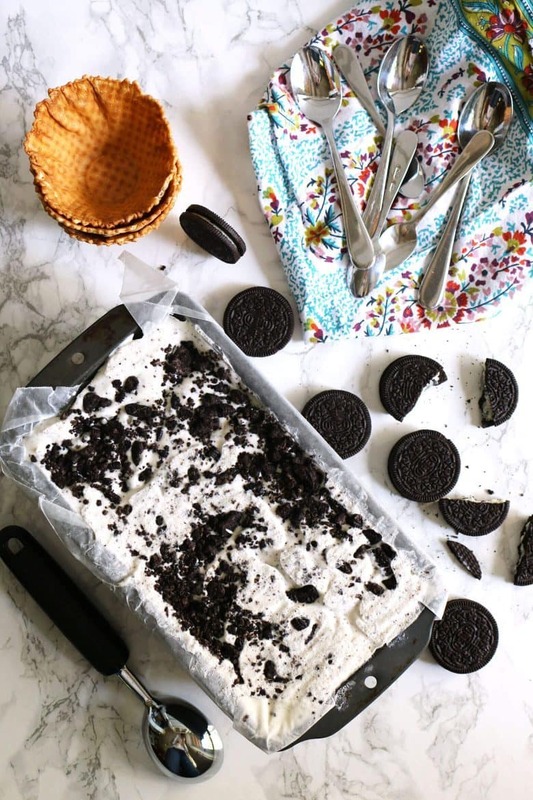 This no churn ice cream looks super simple and delicious! 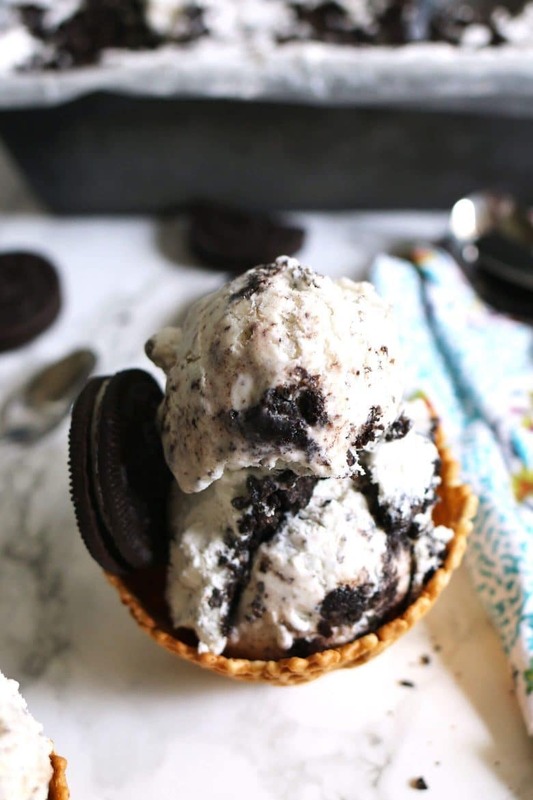 We love Oreos, so I know we would like this! Thanks for sharing! Looks like one my husband would devour!! Thanks for sharing at the What’s for Dinner link up! Your No Churn Ice Cream looks awesome! Thanks so much for sharing your post with us at Full Plate Thursday and have a great weekend! Looks delicious and only 3 ingredients needed, awesome! Thanks for sharing this recipe.